Daydreamer combines the simplicity of ribbing and the beauty of hand dyed yarn for a stunning, wrap around you shawl. Knit on the bias from tip to end, Daydreamer is fully reversible and is a great way to pair three (or more) of your favourite colourways. This simple asymmetrical design lets your mind wander as you memorize the eight rhythmic rows and is the perfect addition to a cozy night in. Available for purchase here on Ravelry. shown in Woodsmoke (A), Raspberry (B) & Rose Gold (C). 3 skeins/colourways of ngering weight yarn, approximately 434 meters / 475 yards of each colourway. Traveller combines texture, colour, and warmth for the perfect wrap around you scarf. It features simple lace stitches, garter ridges, and clever colour changes that create a stunning, chevron effect. Traveller is a little extra wide, and a little extra long, it can double as a wrap or be layered for a closer, cowl-like fit. This pattern includes both written and charted instructions, along with detailed information on how to customize the size of your scarf. With this design I wanted to create a colour repeat that appeared random in nature but still had a logical order. As a result the colours are dispersed evenly throughout for a well balanced appearance without being too repetitious. Traveller also includes detailed instruction on how to change the length and width of your scarf for the perfect fit. When choosing colours for your project, keep in mind how the MC will look with each of the CCs, as they will all touch at some point. I chose a light neutral for my MC and four CCs that were darker than the MC and all similar in tone. Other ideas include using a dark MC and lighter CCs, or using a high colour contrast between the MC and CCs. The possibilities are truly endless, don’t be afraid to experiment with your own combinations! Traveller Yarn Kits are currently available for pre-order in the online shop. 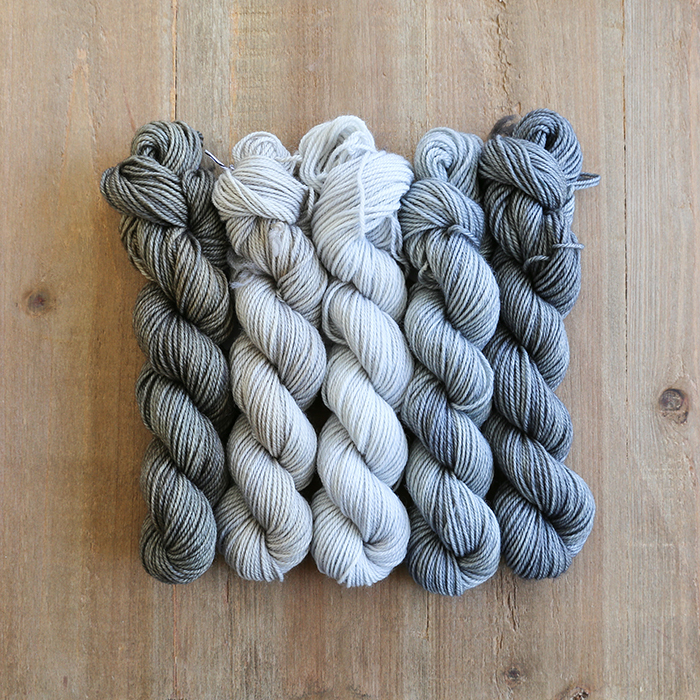 When in stock, our Merino Twist DK is available for dyed to order here. We're celebrating the first day of Fall with a new pre-order event! Cashmerino 20, Sweet Merino Lite, Merino Twist DK and Merino Twist Worsted will be available for pre-order starting today. There are a limited number of the special edition West Coast Wonder colourway available for pre-order as well. Please be reminded that all dyed to order yarns will ship in approximately 4 weeks from the date of order. Watercolours is a yarn club of true artistry, where colours blend and layer together to create a magical depth that glows. My favourite colourways are those that capture the natural world in some way, whether it be purely visual, or more about the sense or feeling of a particular place. I can’t give away too much of the mystery, but I can reveal a bit of my inspiration for this yarn club: the running, growing, reflecting, streaming, intertwining, layering, tumbling, mixing, and changing of colours in the natural world. 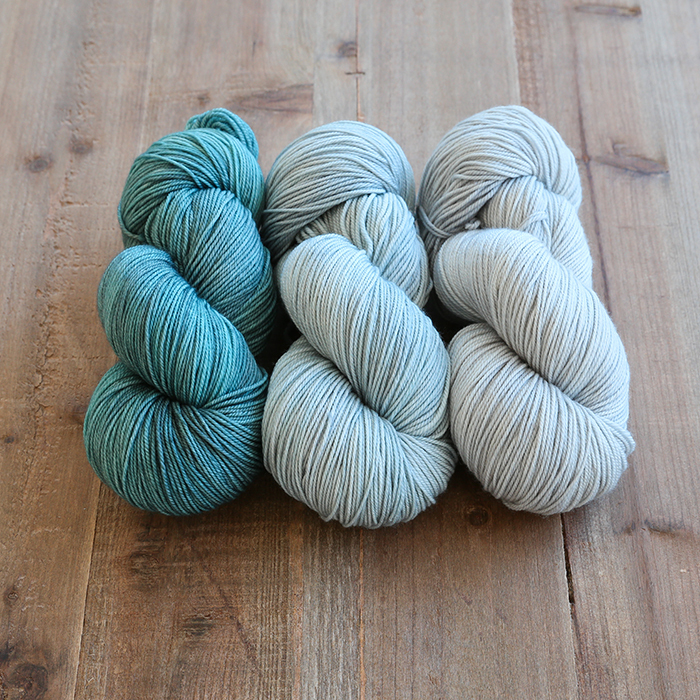 Watercolours yarn club colourways will be low in tonal contrast and suitable for patterned projects. While multiple colours will be used in each skein, you can expect beautiful, sophisticated colourways that are not speckled nor blotchy in nature. Special attention will be given to how they look together should you wish to use more than one in a project. Many of the colourways will be exclusive to this club, a handful of club colourways may be released as future full time colourways at a later date. 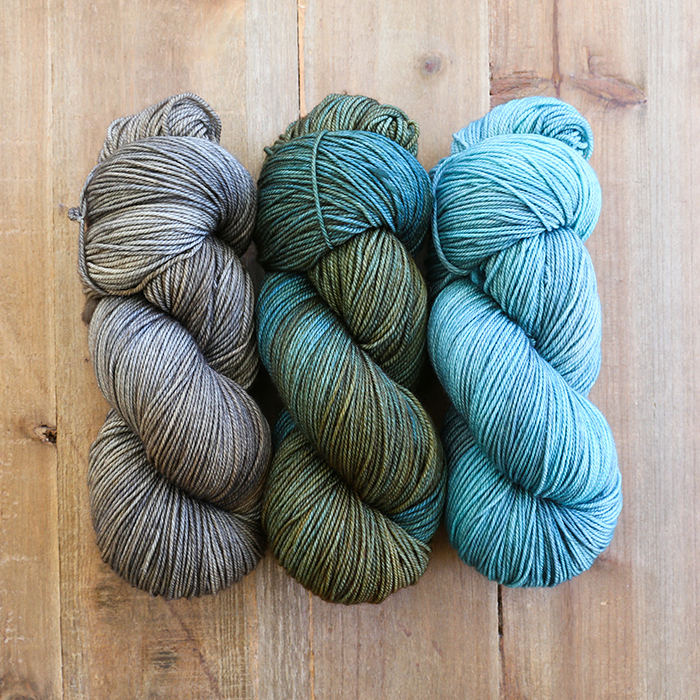 Combined shipping is available for those who wish to double up their skeins. 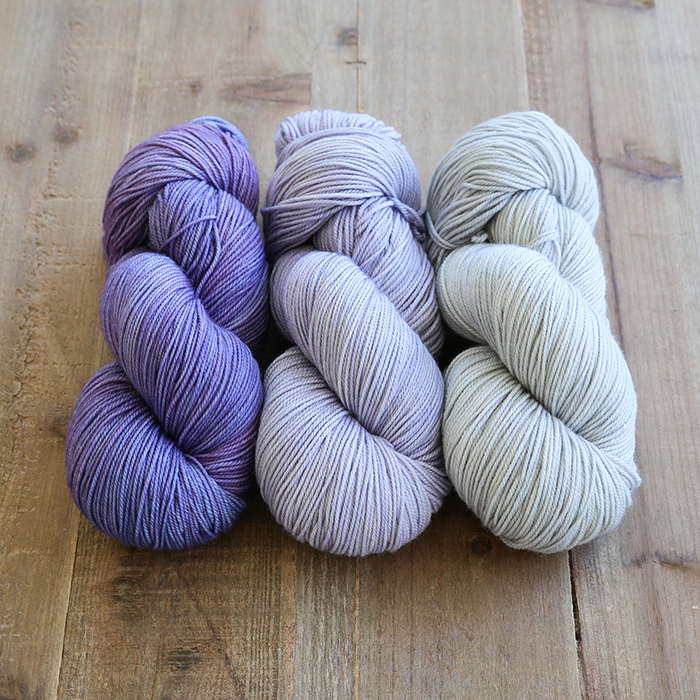 If doubling you will receive TWO skeins of each of the three colourways per month. Below you'll find the break down of the club pricing. All pricing is in Canadian Dollars and the full balance for the club is due at check out. All import and duty fees are the responsibility of the recipient. All Sweet Fiber club memberships are a final sale. Yarn club arrival times may vary depending on your location. Watercolours KAL: Join us on instagram (#sweetfiberwatercolours) and in our Ravelry group for a knit-a-long this summer! Shop discount: The first club shipment will include a 20% off coupon valid for two purchases in our online shop (valid May-August).